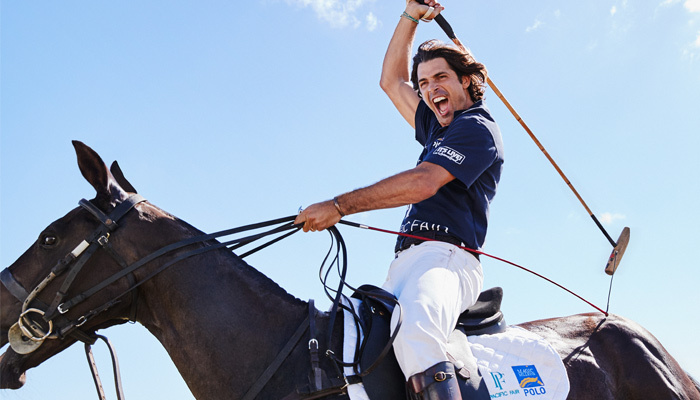 The 2019 The Star Gold Coast Magic Millions Carnival is almost here, everyone’s invited to this celebration of all things equine! You don’t have to be involved in the racing industry to enjoy the offerings of the Magic Millions Carnival. 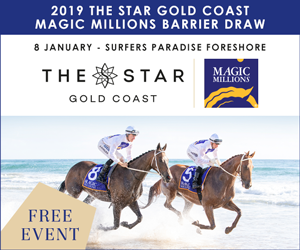 With the Pacific Fair Magic Millions Polo, The Star Gold Coast Magic Millions Barrier Draw, the Magic Millions Yearling Sale and The Star Gold Coast Magic Millions Raceday – there’s plenty to keep everyone entertained! 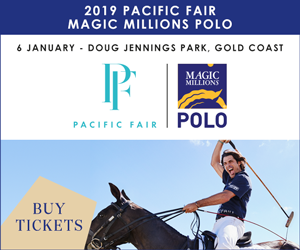 The Pacific Fair Magic Millions Polo returns to Doug Jennings Park on Sunday January 6, and it’s promised to be the ‘must attend’ event of the Summer, with 3 games of polo played by some of the world’s best. What would Magic Millions be without the Yearling Sale? It’s the place to find the next big thing, with two of the highest stakes earners in Australian history – Winx and Redzel – coming from this sale. From Wednesday January 9, a record number of lots in a star studded catalogue for the 2019 Gold Coast Yearling Sale will go through the auction ring. The sales are open to the public and free to attend. So come along and have a look at the yearlings in spectacular condition, watch the dynamics in buying and selling, and prepare to see millions of dollars in bids. So come on down to the Surfers Paradise Foreshore on Tuesday January 8 and bring the whole family, there’s even a breakfast market to enjoy as well! 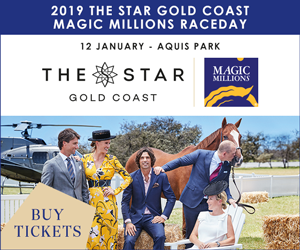 The Star Gold Coast Magic Millions Raceday will take place on Saturday January 12 at Aquis Park. With a massive $10 million up for grabs in prize money, it’s the race that stops the coast. 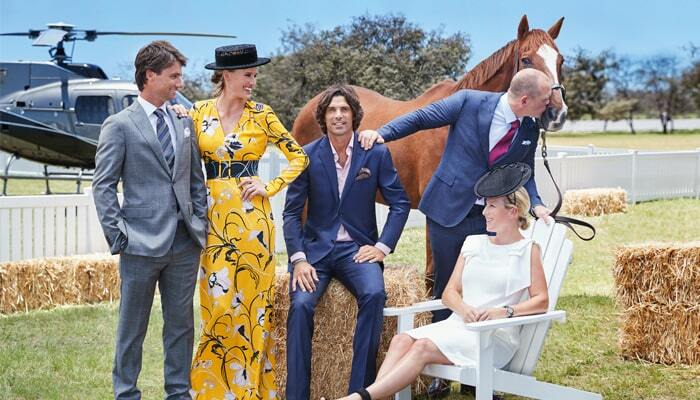 Featuring Harrolds Fashions on the Field, it’s always a glamorous and fun day out for everyone – don’t miss it! It is one of the biggest events on the Australian racing calendar and it happens right here on the Gold Coast. 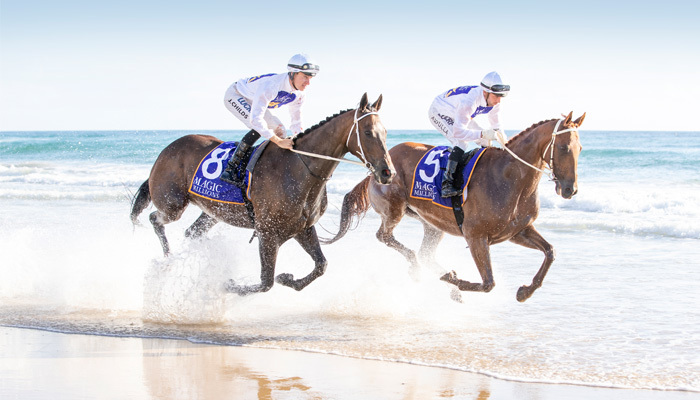 The 2019 The Star Gold Coast Magic Millions Raceday was truly magical day, with racing identities, celebrities and even royalty joining thousands of locals for a spectacular day by the track. Day 3 of the Magic Millions Yearling Sale saw former NRL superstar Billy Slater sell a horse for $180,000. Overall it was successful day in the auction ring with the sale gross reaching a record $149.38 million. 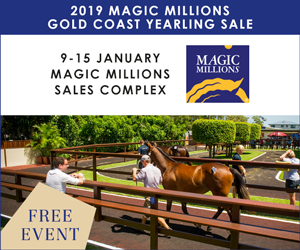 Day 2 at The 2019 Magic Millions Gold Coast Yearling Sale saw sales reach over $14million on last year’s figures! With the average horse selling for $250,000, bosses are starting to think this year could break the record! 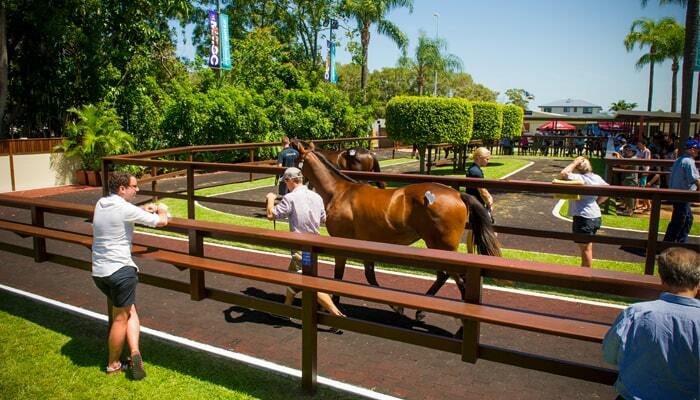 The Magic Millions Yearling sale has kicked off with a BANG! Almost $50 million was spent on the gorgeous specimens, with one horse going under the hammer for a whopping $1.6 million.